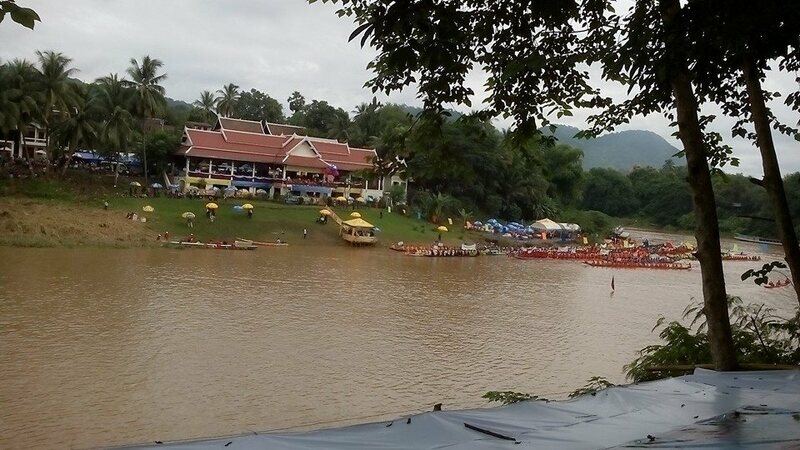 MES was closed for a few days last week for boat racing festivals in Luang Prabang. There were three competitions organized last week, the first event was on 19 Ban Hat Hien village next to the Luang Prabang International Airport, the races were on the Namkhan, the second event was on 22 Ban Nam Dong village, down south of Luang Prabang on the way to the Khuangsi Waterfall and the races were on the Mekong. 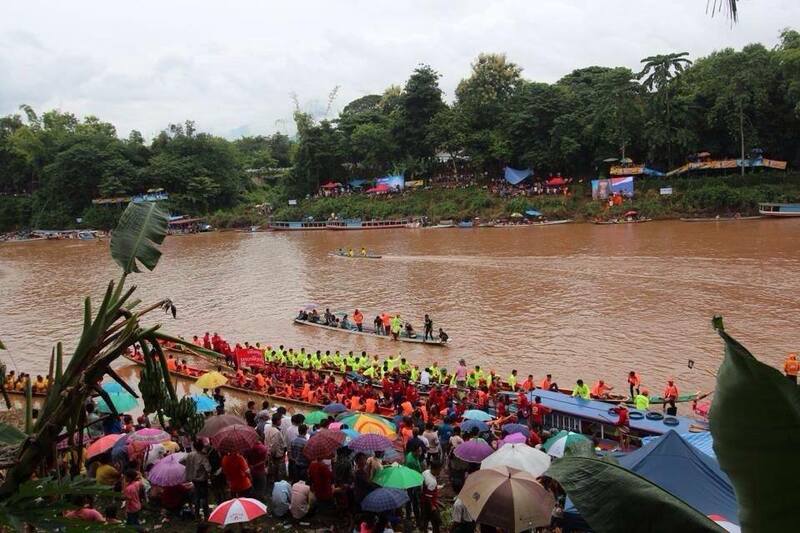 The last races was today on the Numkhan river in the center of town and it was very crowded. Traditional racing boats are carved using one single tree. The boats belong to a village and are usually kept in a shelter on the temple grounds and come out only once a year for the race. Several days before the race the boats are cleaned and presented with offerings because the boats are considered sacred items. These boats can hold approximately fifty paddlers. The morning is devoted to women’s crews and the afternoon to men’s crews. 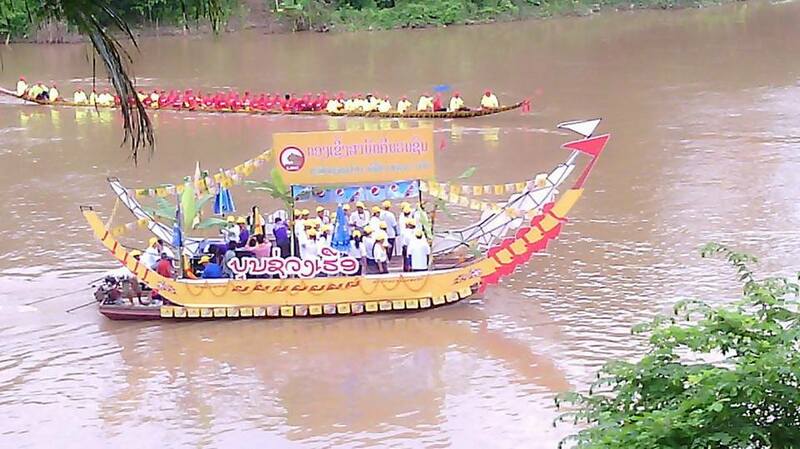 The starting point is two kilometers downstream and the competition is between two boats at a time. The loser is eliminated. After the final race, all the boats participate in a final competition, which is rather spectacular. The winners receive a trophy, a silver cup and cash.